You are the future of our community's healthcare. 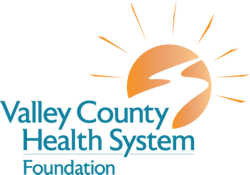 The Valley County Health System Foundation Donor Recognition Wall was established to gratefully acknowledge all contributions. Located in the hospital main hallway, adjacent from the Courtyard Grille, the Recognition Wall offers an impressive and fitting tribute to donors who have joined with the hospital's Foundation to improve the quality of life and health throughout our community. The Donor Wall design provides a permanent tribute to major gift donors, and also acknowledgment of cumulative gifts of those who have generously supported the hospital in a variety of ways. Humanitarian donors will receive a beautiful, inscribed solid wood plaque to hang in their home or office in addition to their name on the donor recognition wall. Names listed on the donor wall can be made in memory or in honor of a friend or loved one.